Thousands of fans were eagerly awaiting the U2 360 tour in Montreal. Anticipation was high and the audience craved more information about the famous band and the upcoming concert. Evenko asked us to create a microsite for fans. In response, we developed a site that was lightning fast and easy to update with new information. Fans could learn everything from tour dates to directions to the venue at one place. 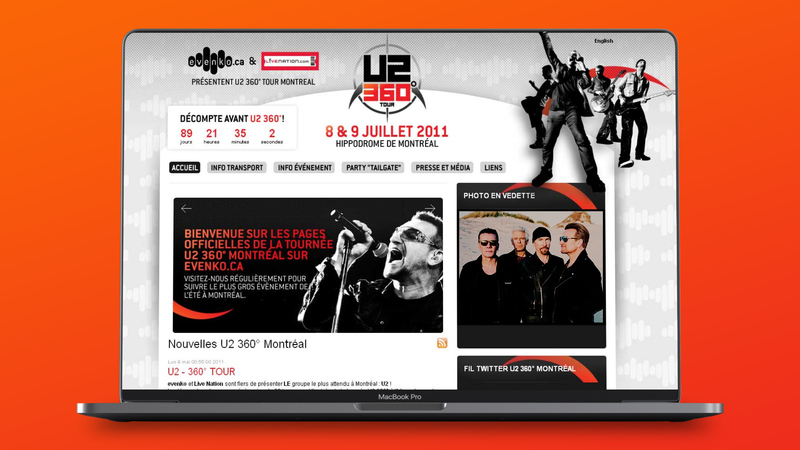 It was the go to hub for all things U2 in Montreal for two years.